So, you’ve been arrested for a charge that will qualify you for state attorney diversion work program/community service, and you’re wondering what happens next. Well, fortunately for you, Pumphrey Law is here to assist and hopefully the process outlined below will help you navigate the process for diversion in Leon County. The first thing you will need to do is contact the Leon County Diversion Program through the State Attorney’s Office at 850-606-6000. Once signed up through the State Attorney’s Office, you will be required to pay a court fee of $170. (payable to the Leon County Clerk of Courthouse, at 301 South Monroe Street, Tallahassee, FL). 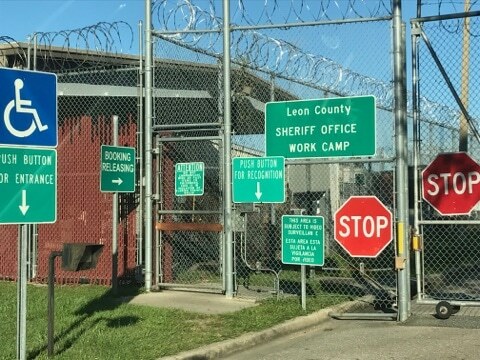 In Leon County there are two types of diversion: Community Service and the County Work Program, both of which are handled through the Leon County Probation Services Program. Once you have paid the $170 court fee, you will need to report to the Leon County Probation Office at 501 Appleyard Drive. Leon County Probation is responsible for supervising those signed up for Community Service and the County Work Program. Whether you are signing up for Community Service or the Work Program, you will be required to attend an orientation meeting in which they will explain the program works. You must have with you a “certificate of compliance” form from the State Attorney’s Office with you when you go to sign up for the County Work Program or Community Service. For questions about the County Work Program or Community Service contact Leon County Probation at 850-606-5626. Note: that days and hours are subject to change at the County’s discretion, and the information contained herein is to assist as a guide, and is not a substitution for the advice of an attorney, or the County’s rules with regard to Community Service or the County Work Program. Regardless of whether you fall under Community Service or the County Work Program at orientation you will receive a list of rules for the program, and a list of requirements for when and how long you have to complete the program. You must arrive 30 minutes prior to orientation and the registration hours are specific for Community Service (and are non-negotiable with the Probation, so save yourself the time in calling; they aren’t going to make an exception for you because you have to go to school or have to work). You will need to bring exactly $30 (they only accept exact change) in cash or a money order (they do not accept credit or debit cards or personal checks), and this fee will be an insurance fee which provides coverage to the non-profit agency you are performing the Community Service or the County Work Program up to $5,000 in the event you are injured while performing those hours. Community Service Orientation is: Monday at 10:00 AM, Tuesday at 3:00 PM and Thursday at 10 AM. County Work Program Orientation is: Monday at 9:30 AM, Tuesday at 2:00 PM and Thursday at 9:30 AM. Community Service Diversion: consists of participating in volunteer work hours at a non-profit agency. When you attend the orientation session at Probation they will explain the program, and give you a list of non-profit agencies where you can perform your community service. Note: just because you want to perform your community service hours at the animal shelter does not mean that you will. Probation, who oversees community service, has a list of availability for those locations, and if there is not room at that particular non-profit agency you will have to pick another one. Probation will work with you to find a suitable location based on your skills, the specifics of your case and availability. You may be thinking, “Well I can start volunteering today, but you have not yet taken the orientation class, or paid the $30 for the insurance, will my hours count?” The answer is “no” because you must pay the insurance fee and complete the orientation class prior to receiving community service hours. County Work Program Diversion: consists of 10 hour days of manual labor with a Leon County “work crew.” You must report by 7 AM for the work program and work the entire 10 hours that day to receive credit. You will be required to present a valid picture I.D. every time you check in for the work program. Note: they are not going to make any exceptions for this condition because they saw your picture ID the day before. You should know the County Work Program is not glamorous it’s a “work crew.” You should not go into this program thinking that you will be working behind a counter handing out water at public event. Instead you should anticipate picking up trash, cleaning and washing large equipment, sweeping and mopping floors, raking leaves, bagging sandbags, stacking hay, flagging traffic and even picking up dead animals off of the roadways. If this is not for you then the County Work Program is not a good choice for you, this is not an easy light program it is manual labor. Probation is not likely to make an exception for you because you are a vegan or an animal rights advocate, or have are a germaphobe. If you were ordered by the Court to complete County Work Program days than it is expected you are physically capable of performing manual labor. Maybe this does not sound like it is going to work for you and you are thinking well I have this medical condition…. you need to advise your probation officer of your medical condition prior to signing up, and contact the State Attorney at 850/606-6000. Note: you will not be allowed to sign up for the County Work Program if you have a known medical condition. No, you are not allowed to bring your cell phone, and they will not make an exception for you, no one is allowed to bring one. If you bring one to the County Work Program you will be counted as “absent” for the day and sent home – so don’t bring it. The County Work Program does have a phone you can you for limited use but you will need to inform the staff if you need to use it. You will still need to report the County Work Program; don’t just no show and don’t think they’re going to accept your call asking if it’s still on that day because again you’ll get charged with an “absentee” fee of $35 which will be required to have been paid prior to returning. No, you must work the entire 10 hour day in order to receive credit. If you leave early you will be counted as absent for the entire day, and again you’ll be required to pay the $35 absentee fee prior to returning. Well, you will be assessed a $35 no show for each day you miss, and you will be required to show proof of payment of those fees prior to signing up for future days. Walk, bike, ask a friend or take an Uber because it is your responsibility to get yourself to and from the County Work Program. The County does not provide transportation for you to get to and from their offices. For more information please contact our office to consult with one of our attorneys to ensure you fully understand your circumstances, the consequences of accepting one of these programs and whether it will remain on your record permanently.